Less than one week ago, on November 4, 2013, I learned that I have uterine cancer. So what did I do? I started making appointments, updating medical records . . . and adjusting my thinking. I also went to Facebook as the most expedient way to update people and to start what amounts to a diary as I embark on this new journey. As a quick start, I am reproducing my first two Facebook posts below. I received many comments and much support, as well as information from others, for which I am very grateful. Future updates on my progress will be in this blog. For more information about the mission of this site, please see the Introductory Message. And for a quick guide to the posts about my uterine cancer journey, please see Uterine (Endometrial) Cancer. My goal is to shed light on this little-discussed disease as I set out to conquer it. Please also feel free to be in touch using the Contact Form. Important health message for the ladies—especially my female relatives: I hope you’re getting your annual Pap tests and mammos. But be aware that a Pap smear detects only cancer of the cervix, not of the endometrium, uterus, or ovaries. I found this out today when I got the pathology results from the D&C I had last week. I have stage 1, grade 2 endometrial adenocarcinoma that requires a total hysterectomy and possible radiation treatment. My only symptom was light bleeding/spotting, which went on for a number of weeks. If you’re postmenopausal and have any spotting at all, please see your GYN and schedule a pelvic ultrasound, which is how I began my course of treatment. Unfortunately, Farok is leaving for Singapore tomorrow for 2 weeks, and I will likely need to have the procedure while he’s gone. Friends from my reading group have offered support, for which I am very grateful. Take care of yourselves. 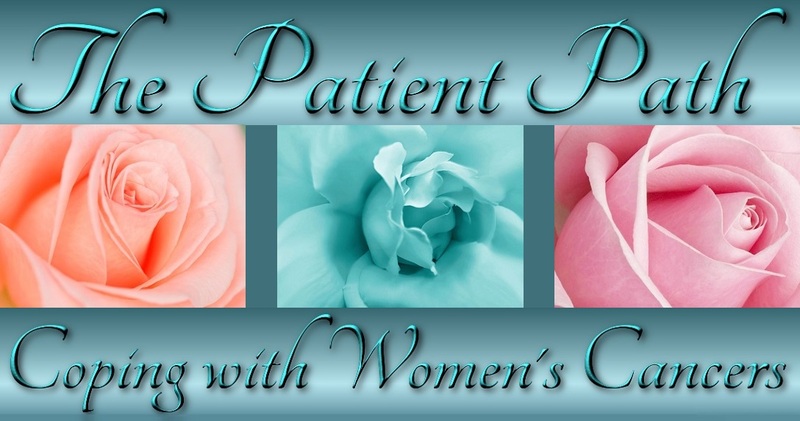 I’ll send an update after I see the gynecologic oncologist/surgeon on Thursday. See American Cancer Society – Treatment Options for Endometrial Cancer by Stage. Health update: Hello, everyone, and thank you all so much for your supportive messages. I saw the gynecologic oncologist today. Before he schedules the hysterectomy, he wants me to have an abdominal/pelvic MRI with contrast to determine whether the cervix is involved. The pathology report may be misleading in the sense that the cervical cells identified may actually be uterine cells that were pulled down during the D&C rather than cancer cells that actually began in the cervix. That would be a good thin—Stage 1. If it turns out that the cervix is involved, that would be a less good thing—Stage 2. In the latter case, I would probably undergo 5-6 weeks of daily radiation treatment BEFORE the surgery—apparently patients tolerate it better then. This would push the hysterectomy back quite a bit. However, the surgeon spoke with my gynecologist while I was in the office today, and they both believe that the former case is more likely. If the MRI confirms no cervical involvement, I’ll be scheduled for surgery very soon. The need for radiation would depend on the post-op pathology report. In either case, both doctors said this is a relatively common form of uterine cancer (endometrial adenocarcinoma) that is highly curable. Right now, my time is consumed with helping them figure out what’s going on. (The way medicine is practiced today, patients have to actively participate in their own care by coordinating the activities of their specialists and managing their own records carefully, as I’m sure many of you have experienced.) So, not such bad news today—in a holding pattern until I see the surgeon again next Wednesday after the next few tests, including the MRI scheduled for next Tuesday. Thanks again for all the kindnesses and good wishes. Please stay in touch, as will I.
I will be following you every step of the way! Your blog will help many people.